At long last, the famous Japanese fusion restaurant Nobu is coming to Atlanta. 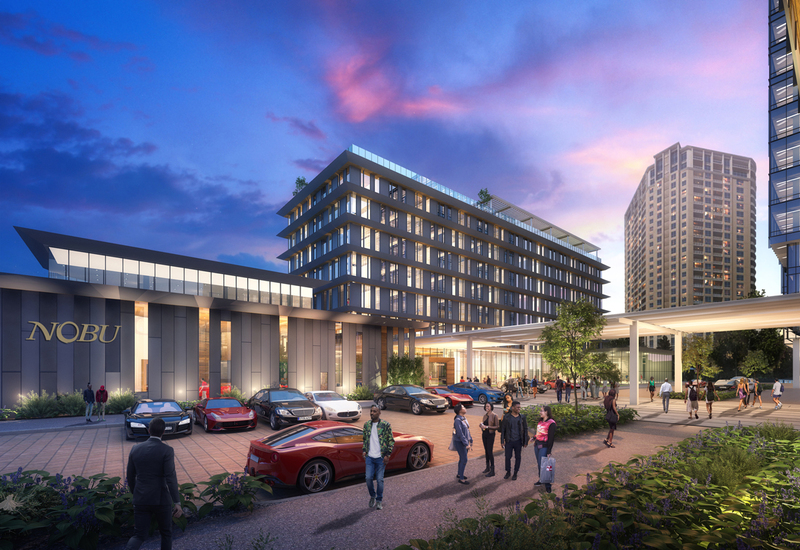 At a Simon Property Group press conference this morning, Nobu CEO Trevor Horwell announced that Nobu Atlanta Restaurant and a 150-room Nobu Hotel may open as soon as late 2019, part of a major new mixed-use development at Simon-owned Phipps Plaza that will begin opening in spring 2020. 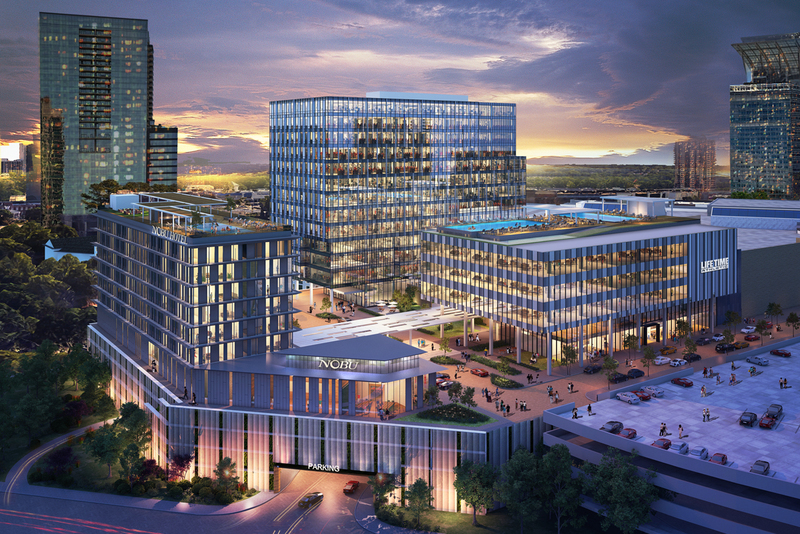 Atlanta’s burgeoning film industry is part of that attraction. Horwell calls the city a “4M market”—music, movie, models/retail, and media. “On the airplane [coming here], basically 90 percent of the people in first class were reading scripts,” he said. Apparently, De Niro is also a fan, and Atlantans can now expect spot him around here more often. But Nobu is counting on locals, not Hollywood, to embrace the new location as a sort of “living room”—generating the energy needed to turn it into a destination. Key to that appeal will be an adjoining open-air plaza and food hall. “You have to create a sense of place,” said John Rulli, Simon’s president of malls and chief administrative officer. “You can’t just create a green space and say, ‘Here’s a park.’ You’ve got to make it a special environment.” He compared the project to Simon’s mixed-use complex in Austin, Texas, the Domain, which has evolved into a popular spot for everything from outdoor yoga to concerts. 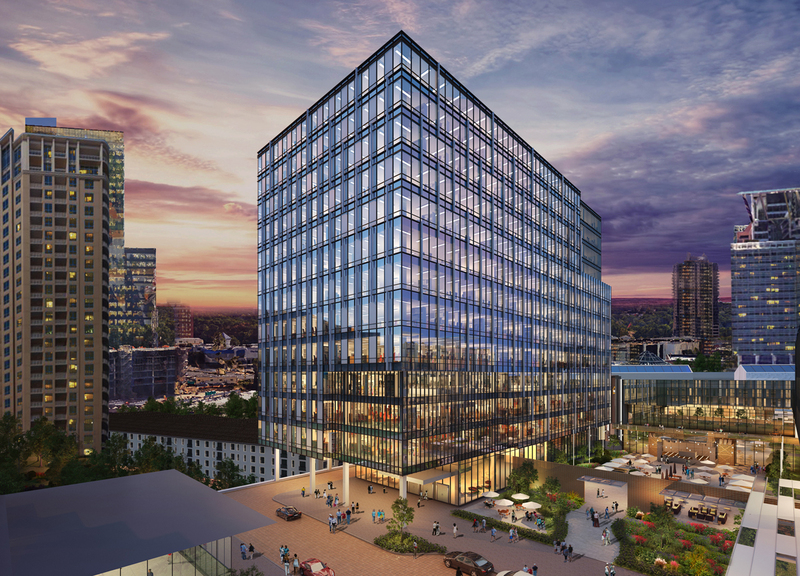 In addition to the 10,000 square-foot-restaurant, the new development will include 12-story Class A office building, other dining options, and a 90,000-square-foot Life Time Athletic facility. David Rockwell, who designed the restaurant’s original location in Tribeca as well as its brand new spot on Broadway, is also creating the Atlanta space. No word on the Atlanta chef for now.